Star Wars: The Last Jedi may have enjoyed one of the top grossing weekends in the US ever, and with a $792 million worldwide haul so far, is already on its way to become one of the highest-grossing movies of all time. This has been a polarizing movie however, and while it got positive reviews from the majority of critics out there (yours truly excluded), millions of Star Wars fans have reacted negatively to the film, with The Last Jedi having a user score of 4.7 out of 10 on Metacritic at the time of writing. The reason for this is the fact that director Rian Johnson has taken quite a few liberties with Star Wars canon, with the film going in a direction you wouldn’t expect, and one that goes against Star Wars’ established lore. Also, Disney saw fit to inject the movie with Marvel-style humour that arguably it did not need, producing a Star Wars sequel that was contrary to fan expectations in many ways. And one of the movie’s key performers has now spoken out against Rian Johnson’s vision too… Actually, Mark Hamill has been critical of the way Luke Walker is portrayed in Star Wars: The Last Jedi for some time, saying that the character seen in the latest Star Wars movie “is not my Luke Skywalker” in an interview featured in YouTube channel Jar Jar Abrams (via GameSpot). The US actor also did not like the fact Luke has basically given up on everything he stood for in the earlier movies, retreating to solitary confinement on a remote island. “I mean, even if [Luke] had a problem, he would maybe take a year to try and regroup. But if he made a mistake, he would try and right that wrong, so right there, we had a fundamental difference”, said Hamill. 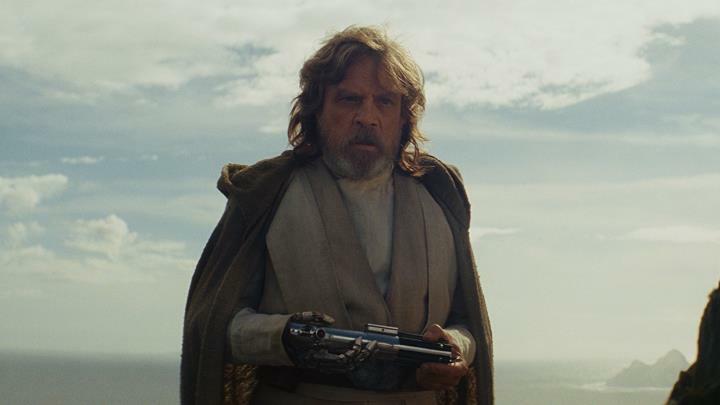 Truth be told, the Luke seen in Last Jedi does come across more as a grumpy old man with a distaste for the Force than a wise Jedi master, so Mark Hamill definitely has a point here. Also, it’s clear some of the character’s dialogue in the latest Star Wars movie is surprising for a character like Luke Skywalker, and Mark Hamill did state in the interview at some point that “Luke would never say that. I’m sorry”. Despite this, audiences worldwide have definitely taken to The Last Jedi, which has grossed almost $800 million US dollars already and is yet to open in big movie markets like China still. But even if you’re not a fan of Rian Johnson’s film, you can rest easy in the fact that J.J. Abrams’ will be taking over for Episode IX, meaning the next Star Wars movie is likely to be a more traditional Star Wars experience, even if this is still a long while off, as it won’t be hitting theatres until late 2019. For the time being, though, director Ron Howard’s Han Solo spin-off movie is just around the corner, as it’s slated for release next May, and hopefully it will be more fun and less polarizing than Star Wars: The Last Jedi has been this year.